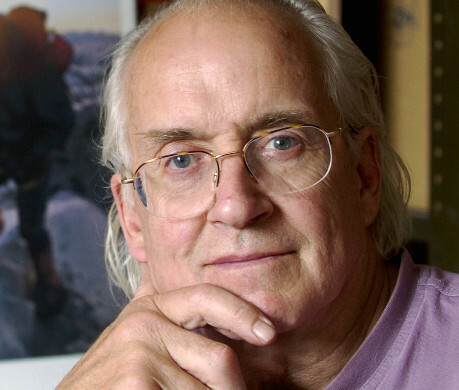 A talk by legendary mountaineers Doug Scott and Paul �Tut� Braithwaite will take place in Ballachulish this weekend, in aid of Glen Coe Mountain Rescue Team and Community Action Nepal. The equally legendary Hamish McInnes will introduce his team mates Doug and Paul from Chris Bonington�s 1975 Everest expedition. The pair will give a fascinating insight into how their colourful careers developed from early youth - including temporary careers teaching geography (Doug) and painting and decorating (Tut) - to Everest. Doug and Dougal Haston became the first Britons to stand on the summit of the world�s highest mountain and were also the first to climb by the massive SW Face. Tut and Nick Estcourt had helped pave the way to the summit when they found a route through the almost vertical Rock Band at 8200 m, setting up the fixed ropes for those who followed. Their heroic effort also meant they had sacrificed the chance to make their own summit bid: Mick Burke � who was filming for the BBC � tragically failed to return from the top and the expedition was called off. Doug went on to become one of Britain�s greatest ever mountaineers, pioneering new climbs in the remotest corners of the globe. His career spans the golden age of British climbing from the 1960s boom in outdoor adventure, to the new wave of lightweight alpinism throughout the 1970s and 1980s. Paul, one of the outstanding Alpinists of his generation, went on to become a businessman and company director. Both Doug and Paul became Presidents of The Alpine Club. The evening is a joint event to support the work of the Glencoe Mountain Rescue Team and Community Action Nepal, a UK registered charity founded by Doug Scott in 1995. Nepalese goods, cards and posters will be on sale before the talk and during the interval. At the close of the talk Doug will be auctioning signed framed mountaineering prints, all supporting the post-earthquake reconstruction work of CAN. He will also be signing copies of award-winning Up And About, volume 1 of his autobiography, and �The Ogre- Biography of a mountain and the dramatic story of the first ascent�.